Transparent compression: it reduce the space used by data. Data deduplication: optimizes occupied by similar or multiple files space. Automatic check of data integrity: the appliance analizes data during the normal use to ensure congruence. RAID modes supported: JBOD, RAID 0 (stripe), 1 (mirror), 10, 5, 6. Possibility to use solid-state drive (SSD): optimize performances thanks to latest generation disks. Solid-state support as “Cache Disk”: increase performance, both traditional hard disk and with solid-state drive. Are you looking for a NAS with innovative features molded to suit your needs? Click on preview to download the data sheet. Versatile and effective solutions designed to Backup for every business need. 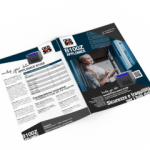 Gigasys backup appliances make easy and fast save data. These products have inside various integrated technologies and a removable backup thought to displace data from the company or the server. Backup job: it permits you to plan copies of data on SMB, NFS, RSYNC, FTP or SSH shares, the system notify by email the end of backup. Remote backup: it permits to plan copies data on backup server on remote SMB, NFS, RSYNC, FTP or SSH shares, the system notify by email at the end of backup. Virtual Machine (hypervisor) Backup: it clones virtual machines without stop them. Compatible with VMWare ESX/ESXi and Citrix XenServer. Encrypted backup on removable disk: the system permits to choose to have an encrypted or a normal copy. Removable device permits you to have a copy apart that saveguard you from backup server breakage. You have an immediate recovery because data reside on a hard drive accessible by most Operating System. Data sharing: you can manage an unlimited number of shares and of users who access. Compatible protocols: CIFS, SMB, AFP, NFS, RSYNC, iSCSI, FTP. Shadow Copy (VSS): accessing a CIFS/SMB share through Windows you can access previous versions of a file. Apple Time Machine: it is possible to backup through Apple Time Machine of Mac OS X on your Gigasys product. High transfer performance: we offer fast access and fast data transfert also via CIFS / SMB protocols and concurrent access by multiple users. Network Recycle Bin: data detected on shares are moved to a shared recycle bin or hidden, to allow users or administrator to retrieve them. No limit data management: Gigasys products can be sizing according to the company needs. No limit for users number management: no licence limit on the amount of usable users, contact us for the best hardware configuration for your needs. Web management: ease of use and completly manageable through any modern browser. Support and assistance: we can support you in the resolution of problems and we are ready to accept suggestions to improve our products. 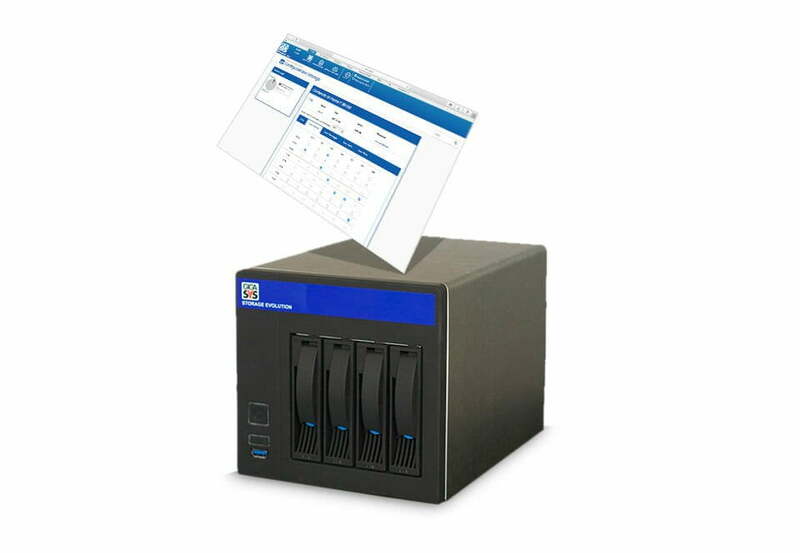 Backup Agent allows to manage customized backup for each device on which it is installed. It is the solution for every situation where Backup job can not arrive, e.g. for unshareable strategic data or to backup a notebook that there are not always connect to LAN. Thanks to easy web management is possible to create planned jobs in a few clicks, the system notify by email at the end of backup. Agent copies any type of file (including Data Base, pst etc.) while in use. It is complatible with every Storage and Backup appliances Gigasys without licence limit. -Create an user and password on your Storage or Backup product in the backup agent menu. -Install software on your local workstation, configure Agent-client specifying the username, password and the ip address of the aplliance. Proceed to the creation of one or more jobs dragging and dropping folders and files you want to save by specifying day, time and the email address to send the report on implementation.